COLUMBUS — Northmor head football coach Scott Armrose has been named the Division IV Coach of the Year in Ohio. He shares the honor with Rusty Richards, of Nelsonville-York. The No. 1 playmaker for the Knights, Demetrius “Meechie” Johnson, a senior, was named to the first-team offensive squad at quarterback. The Knights — after winning just one game last season — went 8-2 in the regular season and qualified for the state playoffs this season under the leadership of Armorose, who is in his first year as Northmor’s head coach. 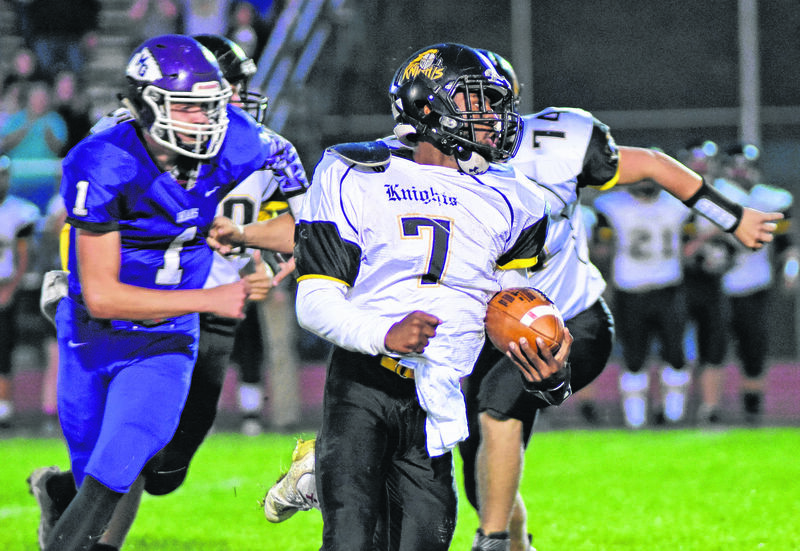 The Knights lost in Week 1 of the football playoffs to Fort Frye, 6-0. All Johnson, who is 5-foot-8 and 170 pounds, did this year in the regular season is rush for 2,475 yards and 37 touchdowns. He also passed for 445 yards, completing 34 of 76 passes and added four more passing TDs. Northmor at Mount Gilead homecoming, Oct. 13, 2017. Photo by Don Tudor. Johnson was named the Offensive Player of the Year in Division VI and also was picked to the first-team offense as a quarterback. 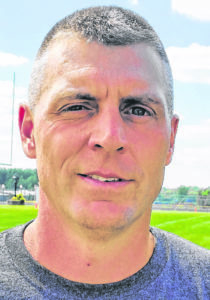 Armrose was tabbed as the Coach of the Year for Division VI. Also, Northmor senior Austin Wheeler was named to the second-team offensive line. Colonel Crawford running back Trevor Shawber was named to the second-team offensive squad as a running back.